If the strategy worked once, let’s repeat it to the bitter end. This is what people at Philip Morris International must have thought since, due to the heavy (and legitimate, until proven otherwise) lobbying strategy – also thanks to a €500 million investment on a plant near Bologna -, they achieved a 50% reduction in excise duties on “heat-not-burn” tobacco products and, in theory, the same taxation for electronic cigarettes, which in practice are taxed more heavily because of the absurd equivalence tax system. In fact, Italy is the only case in the world where a tobacco product – whereby studies to demonstrate its alleged minor harmful effects and the real absence of combustion have not been made public yet after six months – provides for a tax lower than that on e-cigs. Once won the battle in Italy (but not the war, which continues in courts and parliamentary chambers), PMI’s strategy reappears similarly in Poland, where as usual the American company lets third parties speak in support of its plans for a taxation able to guarantee future profits for its new products. Tobacco products branded Marlboro, which use a device called iQOS that should only heat the tobacco but that can be smoked, according to many – and studies on this theme will be released soon. The tobacco industry is an important part of the Polish economy – it pays over 23 billion zloty (€5.53 billion) annually to the State in VAT and excise duties, and employs more than 60,000 people. According to CASE, the growing popularity of e-cigs and the possible (yes!) arrival of “innovative” tobacco products in our country should be associated with new taxes, as this “would be a rational choice from a state budget view point.” The exact same words heard in spring 2013 in Italy, just before the approval of the 58.5% super tax on e-cigarettes, later declared unconstitutional. Cylwik remarked that the new tax should be calibrated so as not to destroy this market segment. Moreover, it should be taken into account that these products pose a lower risk than traditional cigarettes. CASE has not made assumptions on specific taxation levels, but it advises applying a different approach to the taxation of electronic cigarettes and next-generation tobacco products (which heat tobacco instead of burning it) as also provided by the new EU Tobacco Products Directive. The latter is an interesting point made by CASE, which therefore differs from the system used in Italy and suggests a system weighted on the taxation of cigars and cigarillos. As for e-cigarettes, the taxable amount should be determined on 1 ml of liquid, according to CASE, regardless of the presence of nicotine (the exact indication censured by the Italian Constitutional Court) because such a system – that is, based on the liquid rather than on the absurd equivalence system laid down in Italy – would allow to calculate excise duties in a more effective way, as noted by Cylwik. “Unfortunately, the impression is that, under the aegis of the Chamber of Commerce, an event to promote the so-called next-generation tobacco products has taken place. They seem to be a cure to save the Republic of Poland’s budget.” The provisions of the report that has been presented have indeed been finalized “to strengthen the competitiveness of these products relative to e-cigs.” Besides, these products are also of interest to one or two tobacco multinationals. “E-cigs are not a problem, but the solution to the issue of high consumption of tobacco product in Poland,” Jurczyński has noted, stating that the spreading of electronic cigarettes would be good for the public health of the country. Strangely, the theme of “displacement” risk for new tobacco products without a material tax on electronic cigarettes has been a central point of an intervention by Vieri Ceriani, adviser to the Ministry of Economy and Finance on Delegation Tax. This was in occasion of a discussion with social partners on the Legislative Decree that led to the current system providing for a 50% reduction on excise duty on both heat-not-burn devices and e-cigs, but also to the equivalence system, which has totally changed the balance in favour of the former. Jurczyński believes that, before imposing any excise duty on e-cigs, it is necessary to await the entry into force of the new Tobacco Products Directive, which will significantly change the electronic cigarette market. 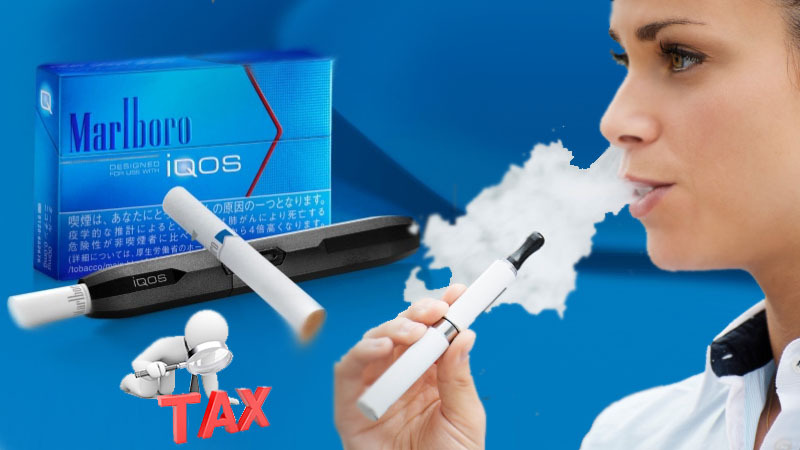 In this regard, at the conference he gave the Italian example of how the excessive taxation of these products, combined with the introduction of next-generation tobacco products, is able to destroy or at least smother the still young e-cigarette market. As reported by CASE, Italy and Portugal are so far the only EU countries that have introduced excise duties on electronic cigarettes. Cylwik explained that – in his opinion – the extension to e-cigs of the harmonized system that already exists for tobacco products is highly likely. In this regard, an EU working group has also been set up. It has been examining this issue and will meet today in Brussels. However, currently the 2011/64/EU Directive excludes the extension of the harmonized excise duty system to e-cigs as – obviously – they do not contain tobacco or involve combustion. At the conference, lobbies of the Polish National Association of Tobacco Growers, represented by President its Przemyslaw Noworyta, have declared themselves in favour of next-generation tobacco products: “I look at next-generation tobacco products with great hope. (…) As a tobacco farmer’s representative, I do not have much sympathy for the e-cigarette industry, which does not sell tobacco, and that rather relies on Chinese liquids. From an industrial point of view, [heath-not-burn] devices are actually the future in term of public health. I hope that products like Ploom or iQOS, which have nicotine levels similar to those of cigarettes, but whose levels of the remaining hundreds of substances is reduced almost to zero, will be introduced in Poland as soon as possible. It will be a step forward, also in terms of health,” he stressed. A scientific debate will open precisely on this last theme as soon as studies on these new products, which some believe can be safely smoked and not only inhaled, will be released. Meanwhile it is clear that after Italy, Poland is ready to become the new front of Philip Morris’s war – in collaboration with local government officials, as in our country – against electronic cigarettes. Tag: ecig, ecigs, eletronic cigarettes, hnb, philip morris. Aggiungi il permalink ai segnalibri. That’s the front I would gladly take my kalashnikov on.